You have to meet the new mobile comsumer where they are… on the move with smartphones and tablets. Think that cell phone texting is just for teenagers and young adults? Think again. According to a survey by mobile messaging company Tekelec, text messaging is competing head-to-head with email as the preferred communication method among adults. 60% of people over 45 text as often as they make calls from their cell phone. 32% of people across age groups prefer texting versus 33% who prefer email. 80% of people across age groups believe texting is quicker than email or voice message for getting a response. 40% of women communicate mainly via texting versus 30% of men. And it’s getting more popular every day. That’s why you should add texting to your marketing mix. 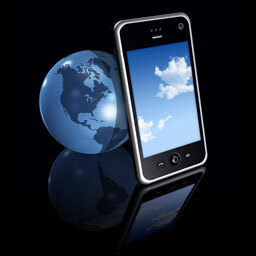 It’s no wonder more and more companies are moving towards mobile marketing as a way to reach their customers. How do you ask for subscribers? In your advertising. In person. In handouts. How often do you deliver on your promise for messages with value? That should depend on the original offer. If you offered a daily “thought of the day,” you’d better deliver every day. If it is a general “new sale/offer” offer, maybe once a week. If it’s news based, each time that kind of news breaks. When should you text? During the main part of the day. You don’t want to annoy subscribers with interruptions while they are sleeping. Texting isn’t the whole story. The “smartphone generation” looks for QR codes so they don’t have to type into the phone, so make sure that QR codes are part of your advertising, product displays, and collateral materials, linking users to web pages, texting systems, and contact information. Existing customers may be well served with your company’s custom mobile app, providing information, services, and marketing directly to their smartphone. You can even use your app to deliver notifications to your customers about new “deals” or special promotions, giving you the ability to spontaneously create marketing success.